Are you looking for dependable heating oil or propane service for your Massachusetts home? Are you a local business owner in need of reliable commercial fuel delivery? Roby’s Propane Gas, Inc., is proud to offer residential propane and heating oil delivery, propane delivery for cranberry growers, and blended diesel fuel service for construction sites, fleet yards, commercial facilities, and agricultural locations. If you want to become a Roby’s customer to receive the best delivery and customer service options in the greater Wareham, MA, area, please fill out the form below. One of our service representatives will be in touch shortly! The company agrees to supply and install a complete Gas Service System, hereinafter referred to as “System”, at the Consumer’s installation address listed above. The System shall consist of a Storage Tank, including the pressure regulating equipment suitable to use with liquefied petroleum gas (LPG) which is owned and maintained by the Company. The Company agrees to repair and properly adjust the System, as required, during the term of this Agreement. The Consumer agrees to allow The Company, or its authorized agent, access to the System at all reasonable times for purposes of delivery, inspection, service, repair and removal at the termination of this Agreement or at any other time removal of the System is permitted by this Agreement. It is the Consumer’s responsibility to maintain a clear path to the storage tank to facilitate deliveries. The parties agree that the System, and all of its related equipment and parts, are and will remain at all times the property of the Company. The parties agree that the System includes all tank(s) and regulators. The appliances and piping are the Consumer’s responsibility and should be properly maintained by the Consumer. The Company shall have the right to remove the System from the premises described above at the installation address in its discretion at any time subsequent to a disconnection of service to such premises. The Company shall also have the right to remove the system if the Consumer discontinues use of LPG marketed by the Company. If at any time the Consumer’s LPG usage does not warrant the existing storage capacity, as determined by the Company, the Company may exchange the System, replacing it with another tank(s) of more appropriate size. This includes the removal of underground storage tanks. The Consumer agrees to make no adjustments, connections, disconnections, or any alterations to the System, or any of its parts or components. The Consumer also agrees not to permit anyone except the Company or its authorized agent, to make any adjustments, connections, disconnections or other alterations to the System. If the Consumer fails to abide by this section of the Agreement, the consumer will be held liable for any and all damages, including, but not limited to bodily injury and/or property damage, that may arise as a result of the Consumer’s actions. The Company agrees to sell and deliver LPG sold under the Company’s Trade Name to Consumer at the installation address and into the System supplied by the Company in sufficient quantities to meet all of Consumer’s requirements. Pricing is subject to increase or decrease without notice. The parties specifically agree that this Agreement shall automatically renew each year with the same terms and conditions, unless either party gives written notice of his/her intent to terminate the Agreement. Payment is required within 15 days of delivery date. Payment may be made by cash, check, or credit card. A shutoff of the gas supply may occur if a balance remains unpaid past the credit terms. The Consumer agrees to pay the purchase price of the delivered LPG on demand by the Company under its existing schedule of prices applicable to the Consumer’s product classification, which said prices may be amended as the market requires. The parties agree that payment will be based on the Company’s credit terms as specified at the time of entering into this Agreement. The Consumer further agrees to pay all taxes applicable by law to sales and deliveries under this Agreement. Deliveries are made automatically by the Company. We do not deliver on a “will call” basis. Due to unforeseen circumstances, automatic delivery does not guarantee that you will not run out of fuel. The Company is not responsible for damages that occur as a result of running out of fuel. The Company reserves the right to establish minimum delivery requirements consistent with applicable State and Federal laws. The Company, at its discretion, may charge a fee for disconnection, removal, or pump-out of system. The Consumer may be charged a reasonable fee for any delivery made outside of the normal business hours or outside normally scheduled deliveries in the Consumer’s geographical area. 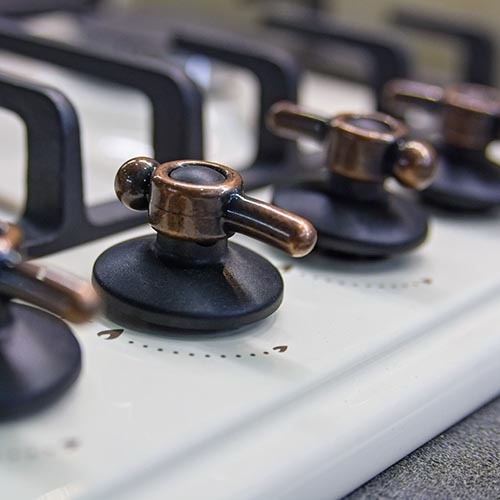 The company reserves the right to charge rental fees for the system, or an annual fee, if the consumer’s consumption of propane falls below an anticipated amount. The Company shall not be obligated to make deliveries to the Consumer when the supplies or facilities of production, manufacture, transportation, distribution or delivery contemplated by the Company are interrupted or unavailable by reason of any requirement or request of any governmental authority, wars, public disorder, acts of enemies, sabotage, strikes, lockouts, labor or employment difficulties, fires, acts of God, accidents or breakdowns, whether or not preventable, or any cause beyond the Company’s control. The Company is not responsible for loss of heat or any resulting damage arising from a freeze-up in an occupied/empty or unoccupied dwelling or home. It is the Consumer’s responsibility to protect their home against damage arising from a drop in heat and/or freeze-ups. The Consumer shall arrange for daily temperature monitoring if he/she plans to be away from the premises for any length of time. The Company is not and will not assume the role of Caretaker of the Consumer’s home at any time. To the extent permitted by law, the Consumer agrees to release and hold the Company harmless for all claims for bodily injury or property damage arising from the Consumer’s use of LPG, including, but not limited to any Act or omission committed by the Consumer in its use of LPG and the adjoining system. Company may send out a 24-hour shut off notice to the Consumer. The Consumer will be given 24 hours to pay the amount due in order to avoid interruption of gas service. Thereafter, a deposit, an active credit card, cash on delivery (COD) or pre-delivery payment may be required on my account at the Company’s sole discretion. The company may perform a search of any credit reporting agency periodically in order to determine consumer’s credit worthiness. The company may perform a search of any credit reporting agency periodically in order to determine consumer’s credit worthiness. Customer authorizes Roby’s to obtain credit information regarding Customer from credit reporting agencies at any time. Based upon Customer’s payment or credit history, Roby’s may at any time require payment in advance by Customer for Propane deliveries and/or services, materials or equipment provided. Additionally, Customer may be required to pay Roby’s a security deposit as specified by Roby’s from time to time to secure the performance of Customer’s obligations to Roby’s. Roby’s may at its option apply all or a portion of said deposit on account of Customer’s obligations to Roby’s. Any balance of the security deposit remaining after termination of service to Customer and payment of all of Customer’s obligations to Roby’s shall be returned to Customer. Roby’s Propane Gas, Inc. does not share any Customer’s personal information with any other entity. Roby’s Propane Gas, Inc. takes data and personal information security seriously and we make every effort to ensure the security of your personal information.